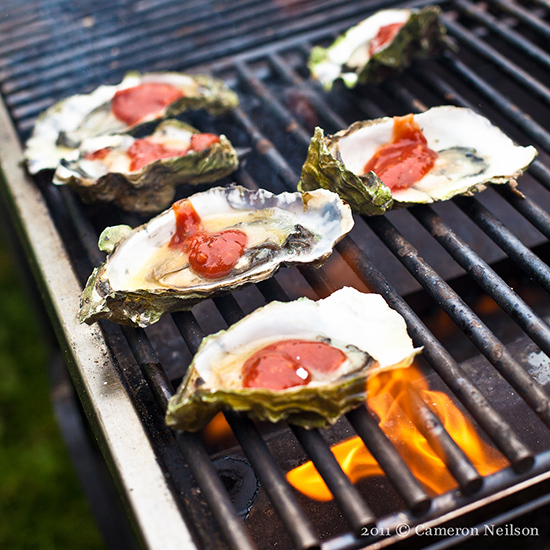 These BBQ oysters could be yours at Outside Lands. Outside Lands (August 8 to 10, in San Francisco) is sold out, but your food knowledge could still help you get in. You can win a pair of tickets to the festival and (maybe more importantly) free food when you’re there, just by knowing the creators of the porcini doughnut, chicken curry nachos and 18 other amazing dishes. To win the Name That Restaurant contest, peruse this list of some of the items on the menu for festival weekend, and write in the name of the restaurant that serves it. But you have to hurry. You’ve only got until tomorrow, May 28, to enter. If you don’t make it you’ll be stuck hunting for tickets on Craigslist. Whether you’re going to Outside Lands or not, make sure to check back here later this week when we’ll bring you the full food lineup that will accompany Kanye, Tom Petty and the rest of the music coming up in Golden Gate Park.